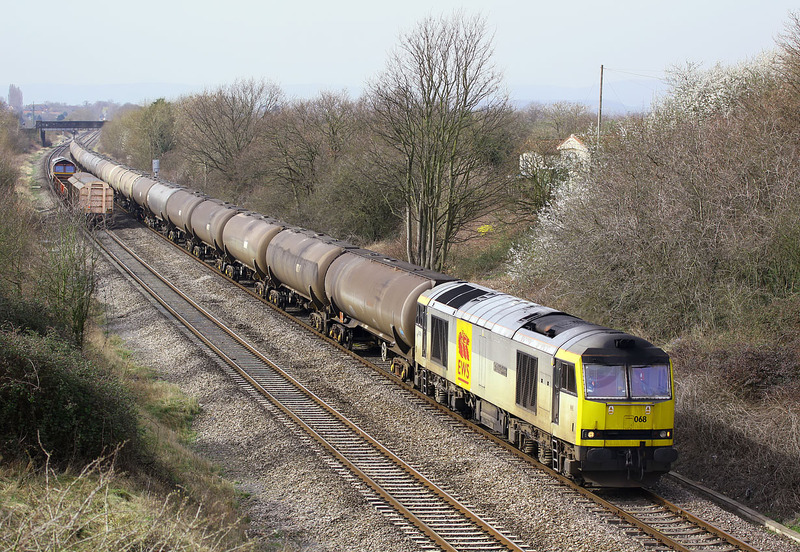 60068 Charles Darwin passes Up Hatherley with the 6E41 11:18 Westerleigh to Lindsey oil empties on 16 March 2009. This was one of those irritating occasions when a pair of interesting trains are approaching from opposite directions and a snap decision has to be made as to which to photograph. An easy choice here, as a 60 easily beats a shed! 66019 can be seen heading in the opposite direction with the 6A32 Ashchurch to Didcot MoD stores, which ironically I had missed when it went up to Ashchurch earlier in the day while I was walking between locations! Although I would have liked to have photographed it, if it had been 43304 on 1V31 that I had missed instead I really would have been annoyed!